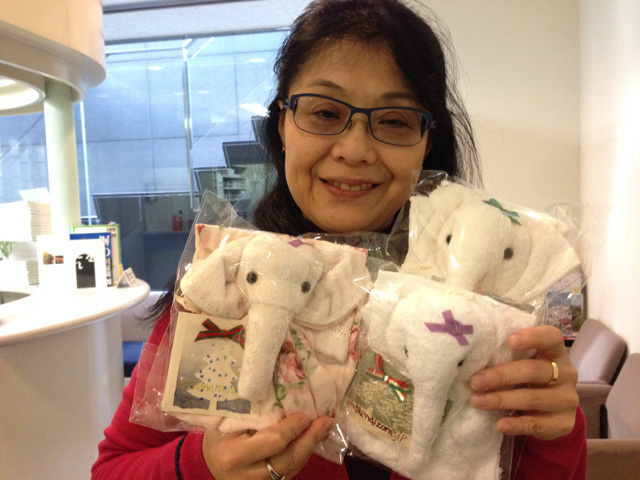 New York based journalist Eri Kurobe san was on visit in Japan and going back to New York with Makenaizo Elephants!! 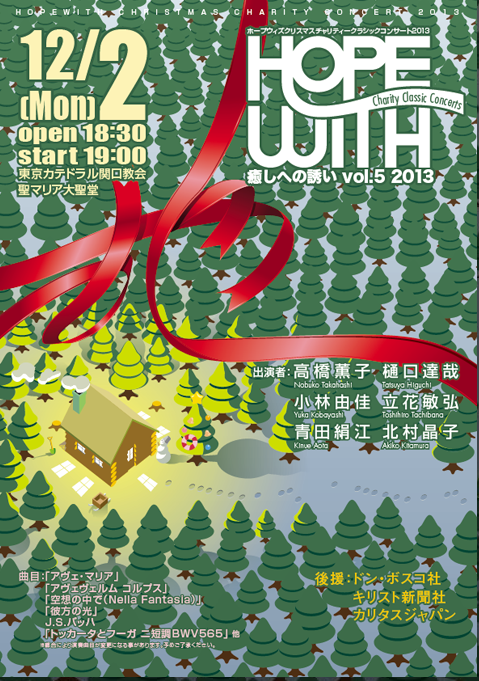 They will be presented in next March event ‘Together for 311′. 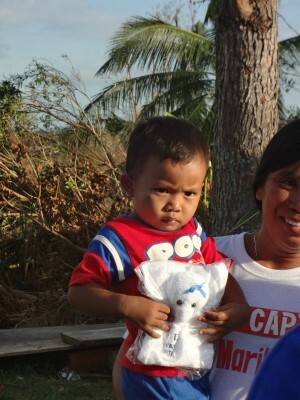 Makenaizo Elephant went to support in devastated area in Philippines!!! Mr Yorimasa and Mr Ueno, the Staff members of CODE, the international section of Kobe based NGO Collaboration Center have been in Bogo City in the Northern part of Cebu Island. They’ve been listening to local people’s needs and will be acting as a part of the community. 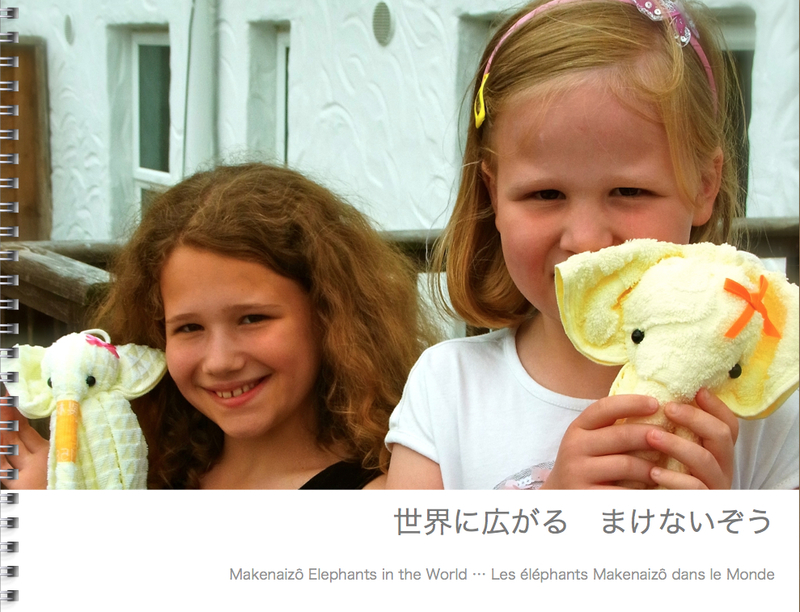 ‘Makenaizo, the name of the small elephant means ‘Never give up in Japanese!!! 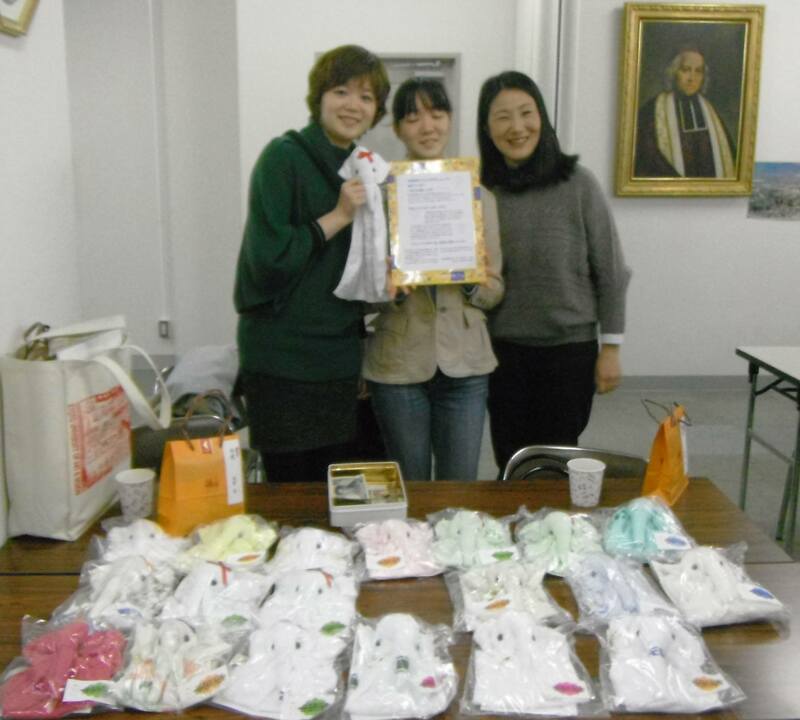 This is the same message brought from Kobe to the Northeastern area in Japan since 3.11, 2011 and their messages have been brought to the affected people in Philippines now! 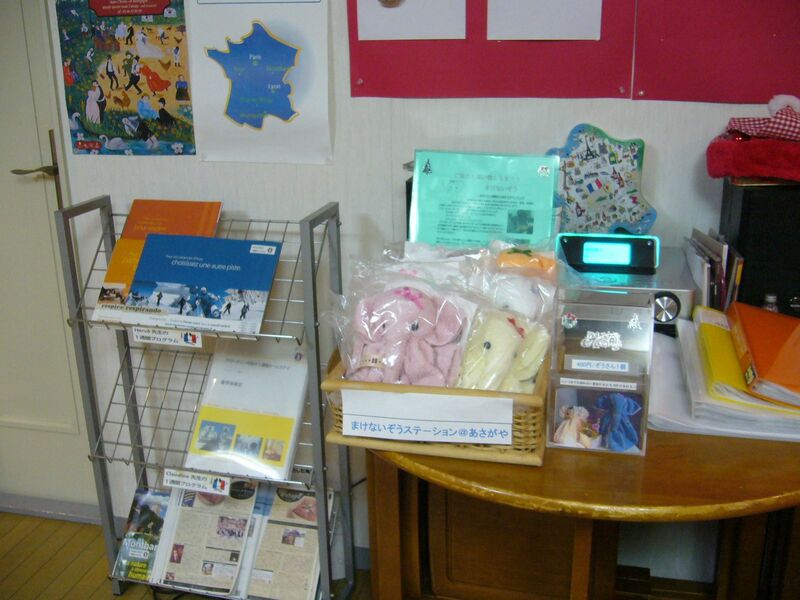 世界に広がるまけないぞう　2013年10月　被災地の作り手さんに見ていただくため作ったアルバムです。Makenaizo Elephants, everywhere in the world!! 22-24 October 2013. 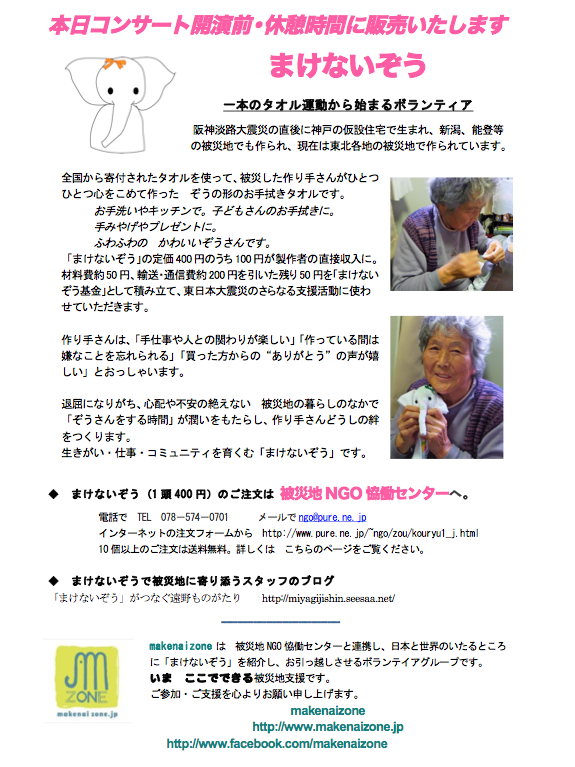 I went to Iwate, in the north of Japan, for the first time since I started to work for Makenaizo Elephant Project. 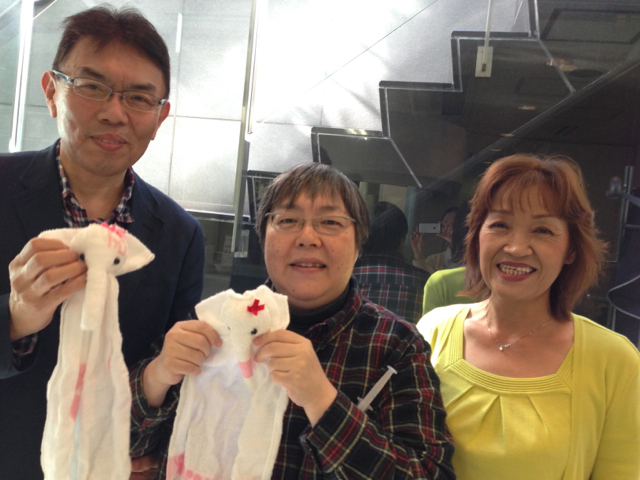 I’ve been reading about them, thanks to Tomoko Masujima, Kobe NGO staff who is regularly going around the temporary housing in the devastated area, but I thought it was time to go and meet them myself and tell them about our friends who support Makenaizo Elephants from everywhere in the entire world. 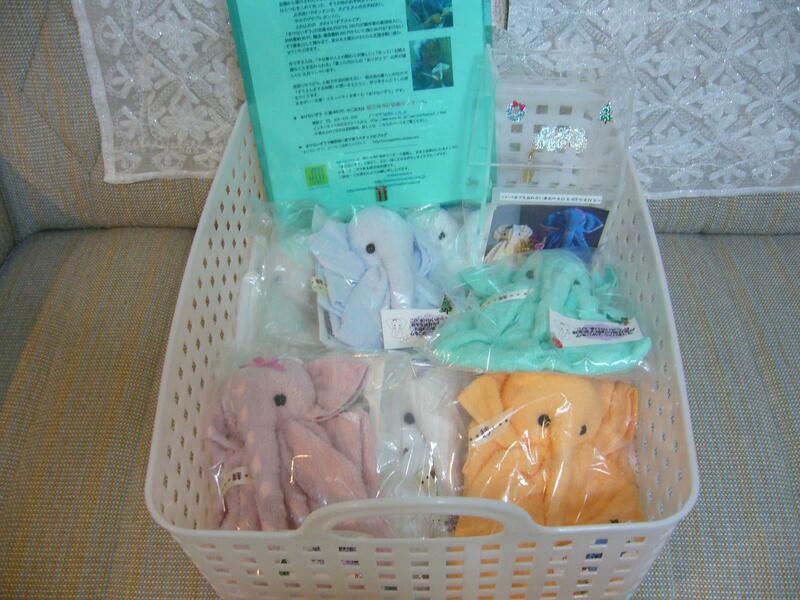 I have so many Makenaizo Elephants photos, with each supporters smiley faces, I put each week, each month onto our support group facebook page and into our homepage. But most of Makenaizo Makers have no internet connection. So important to give paper based news letters. 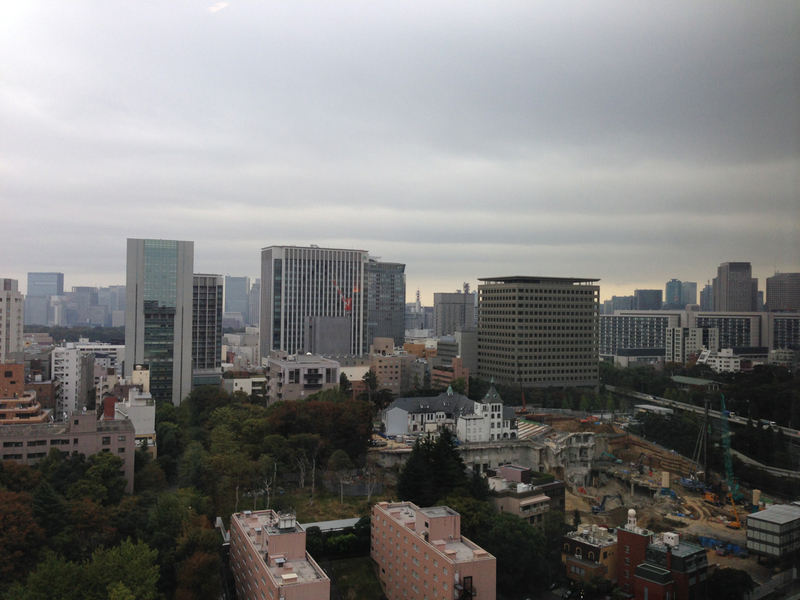 This time, I took some of these photos and made a small album to bring with me. 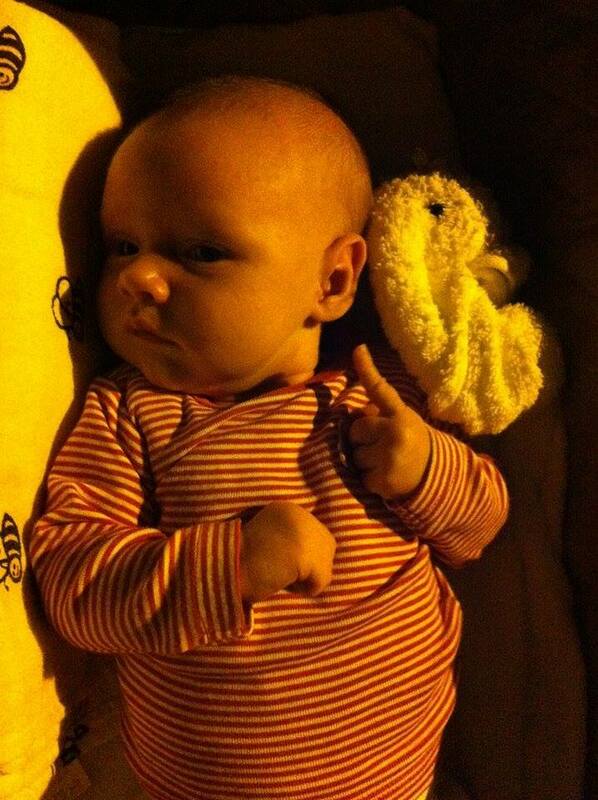 バルセロナの赤ちゃん　「まけないぞう　No.1」だよ♡　This baby in Barcelona loves Makenaizo Elephant! Hello from Barcelona! I have friends who are the couple of the Dutch & the Spanish here in Barcelona to whom I gave one of the Makenaizo Elephants before, and I visited their house the other day and I was so happy to find out that their second baby who was born just 1 month ago really really loves Makenaizo Elephant now! My friends told me that their baby especially loves the elephant’s nose and always enjoys rubbing the nose with her little face! It was kind of new to me that Makenaizo Elephants could be really good friends with the babies as well! I’m looking forward to introducing more & more Never give up elephants to my friends with little babies here in Barcelona! 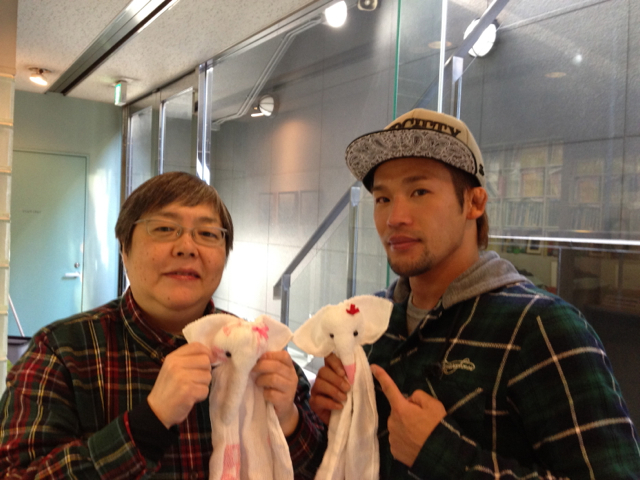 Thank you Mari-san for the precious picture!!! 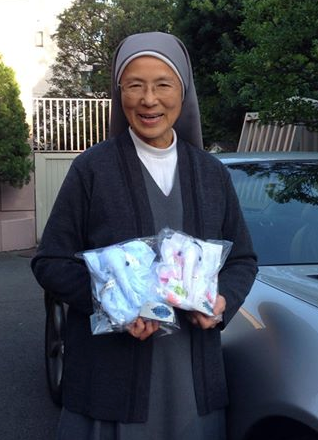 Makenaizos are so popular among the babies, too!!! Actually we have introduced the cute picture of one Makenaizo Supporter’s baby girl who is softly biting the nose of the elephant before! 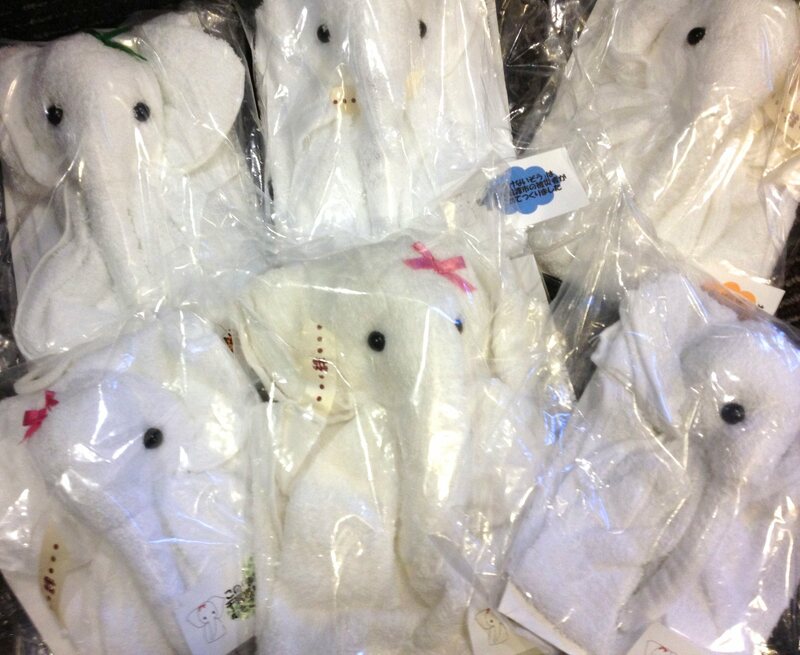 We would be so happy if you’d send us the picture of your cute son & the elephant in the very near future! It would be so nice! 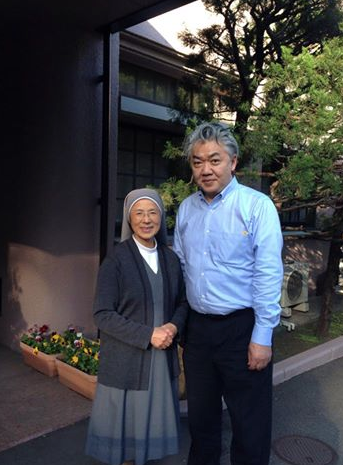 Mari-san, Thanks for your love for this wonderful project and the continued support for Makenaizos! 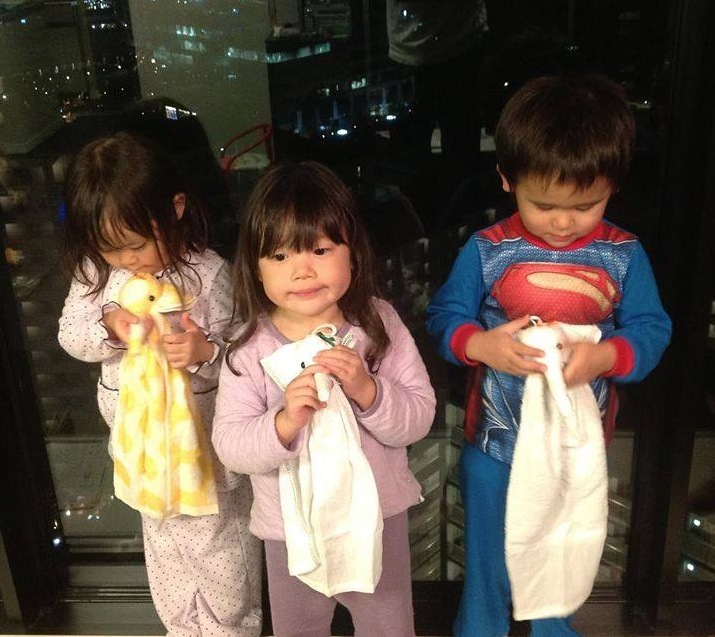 井上 歩美 小さな負けないゾウさんサポーター素敵ですね！ It’s wonderful to have a little Makenaizo elephant supporter !